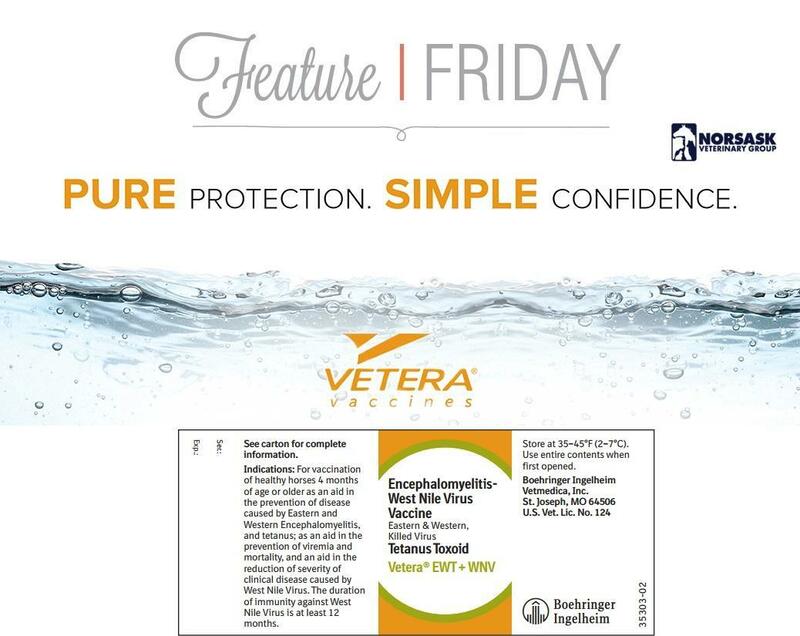 Vetera® EWT+WNV is an equine West Nile virus vaccine including Eastern and Western encephalomyelitis killed virus and tetanus toxoid. This vaccine is safe for horses over the age of 4 months of age, including pregnant mares. This is a combination vaccine that includes protection against Eastern and Western Encephalomyelitis (also known as sleeping sickness), West Nile Virus and Tetanus. If your horse has never been vaccinated prior to administration, a booster is required 3-4 weeks after the initial dose. The horse can then be vaccinated on an annual basis after this series of 2. Both the Rosthern Clinic and Warman Clinic have individual doses available for purchase for administration or can be brought out by our veterinarians for a full physical exam to ensure your horse is healthy. At this time our veterinarians would be more than happy to administer a Rabies vaccine for your horses, since this is a vaccine that only veterinarians can administer. Our veterinarians can either travel to your location or you can trailer your horses and bring them in to our Rosthern Clinic. For more information on the Vetera® line of vaccines head to their website, if you have any questions please contact our clinics.